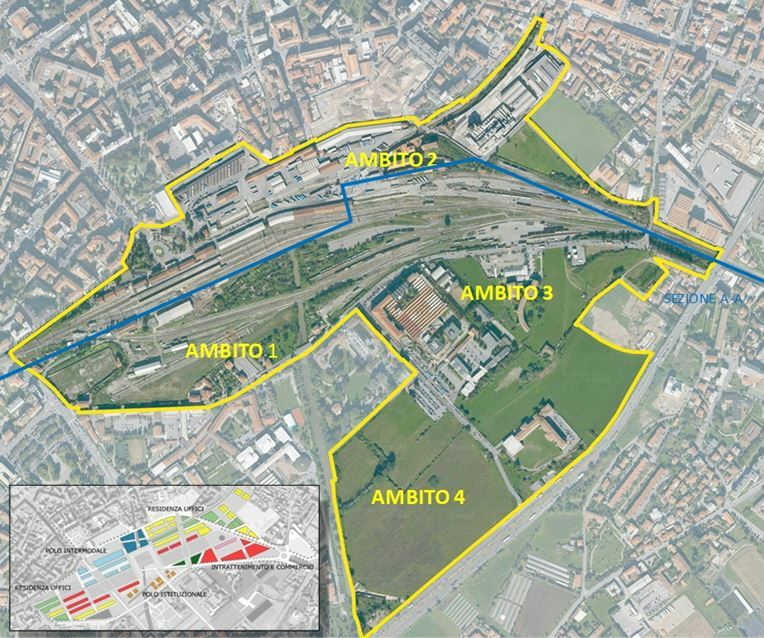 Area for redevelopment within the broader regeneration project for the City of Bergamo, capital of the Province of Bergamo and one of the wealthiest and the most industrialized provinces of Lombardy region. The plan involves the construction of mixed-use buildings, mainly for residential, tertiary and hotel use in a central location. 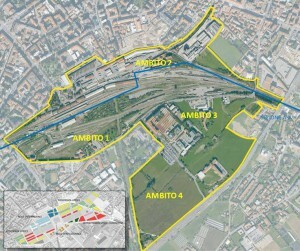 The area to be redeveloped is located within the boundary of the railway station and is part of a strategic transformation project within the City of Bergamo 2010 Urban Development Plan (PGT), and also the wider regeneration program called “Nuovo Centro della Grande Bergamo” (New Centre for Greater Bergamo). Situated near the city’s intermodal hub, the plan involves the construction of mixed-use buildings, mainly for residential, tertiary and hotel use. Plan 1 (185,000 m²) and Plan 2 (25,700 m²) provide a total of 209,000 m² gross internal floor area. The redevelopment of the railway station will contribute to the architectural appeal of the district and its evolution into a new urban district for research, eduction, tourism and business. The redevelopment area is situated in central and semi-central area of the City of Bergamo (119,002 inhabitants), capital of the Province of Bergamo (1,108,853 inhabitants), the 4th largest city in Lombardy Region. 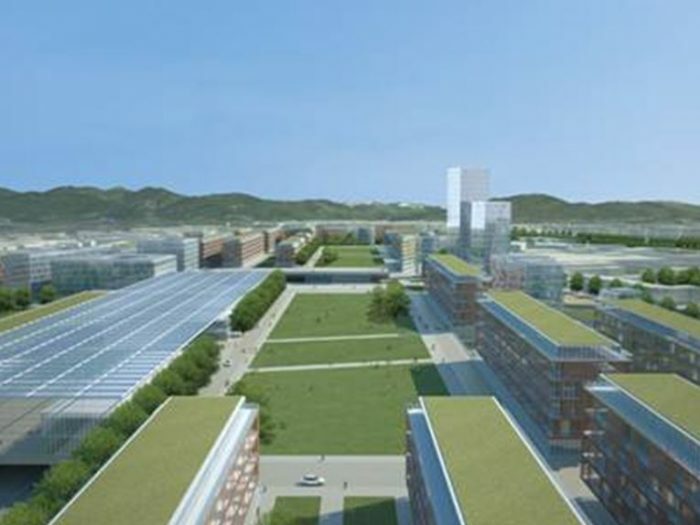 The area will become the future gateway into the city, a hub for public transport linking the province to Orio al Serio airport, Italy’s 3rd busiest with over 10 million passengers (2015). The transformation of the entire area and the redevelopment of the railway station will reunite the entire southern district with the rest of the city centre, currently separated by the rail tracks. The city is extremely well connected to the national road and motorway network and is located 50 km away from Milan city centre, 40 km from Lecco (by the Lake Como) and 120 km from Lugano (Switzerland).